A remarkable WordPress Plugin for advertisement. WP Background Takeover Advertisements makes it easy to enable wallpaper advertisements on your site. Run wallpaper advertisements / homepage skins on your site just like the big fashion, gaming, tech, and gossip websites. Truly the best advertising plugin for background skins. A simple and easy-to-use WordPress Advertisement Plugin. 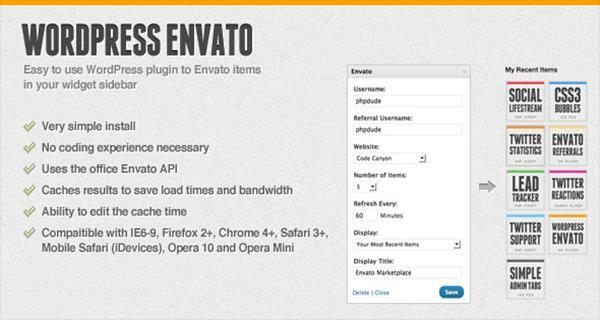 WP Envato displays your most recent Envato items from a selected marketplace. When the plugin is installed, you just drag and drop the widget to the sidebar and edit your username and that’s it. You’re ready to go. This awesome and useful plugin helps gain maximum exposure of your Envato items without the hassles of manually updating every time you add a new file. This astounding WordPress Media Plugin allows you to easily display different sets of items from Envato Marketplace in any WordPress installation in seconds and there’s no need to look again at this file because you have it all automated – you have a very strong and powerful shortcode generator. 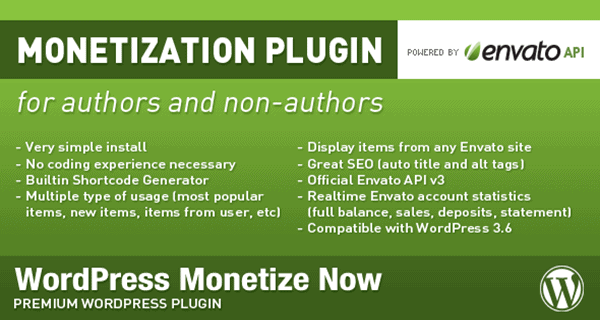 WordPress Monetize Now also connects to your Envato account and right in your WordPress admin, you’ll have all the statistics of your account and the last statement. An animated advert for WordPress powered sites. 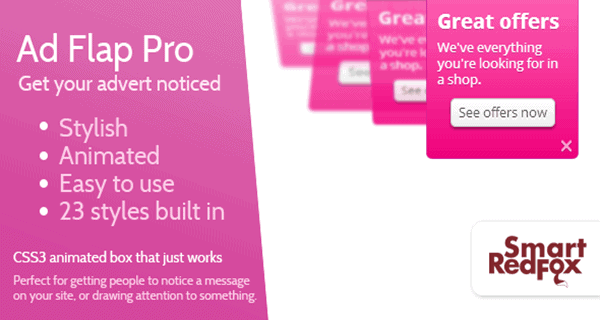 Advert Flap Pro is one of the most effective ways to get your message or advertisement out to people on your website, without being too invasive. It animates in initially so that users notice it, and then waits to be clicked. The user can close it at any time to remove it from the screen. It’s perfect for special offers, cookie notices, important news, new products and a lot more. It couldn’t be easier to set up a new advertisement or announcement. It allows you to just pick your style, enter your text, and check the built in previewer. Once you’re happy and contented, choose the pages you want it to show or hide on and click publish. Simple as 1 – 2 – 3. An awesome and useful WordPress Advertisement Plugin. 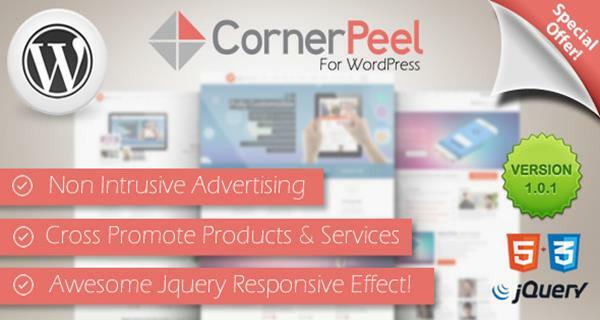 WordPress Corner Peel allows you to add advertising at the top right corner of your website without interrupting the visitor’s browsing experience. Create advertisements in 3 simple steps. Corner Peel is responsive and will remain visible (sticky) throughout the website. 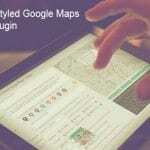 A Premium WordPress Advertisement Plugin. 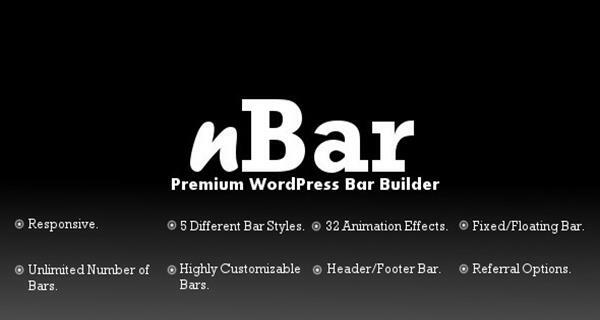 nBar was optimized to build Unlimited number of Header and Footer Bars for the WordPress powered site. 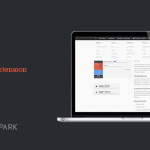 The Header and Footer Bars built using this awesome WordPress Plugin can be used as Notification Bar, Advertisement Bar, Information Bar and a lot more. It supports texts and images to be displayed on the Bar. It also has tons of options to customize the Bar for the look and feel. It has 5 Styles namely Collapse Expand Bar, Drop Down Floating Bar, Drop Down Fixed Bar, Floating Bar and Fixed Bar. Through the settings page, customize the width of the Bar, position of the Close (Collapse/Expand) Button, Background Color, Background Image and a lot more. A splendid WordPress Plugin that will allow you to manage and sell banner spots on your WordPress website. 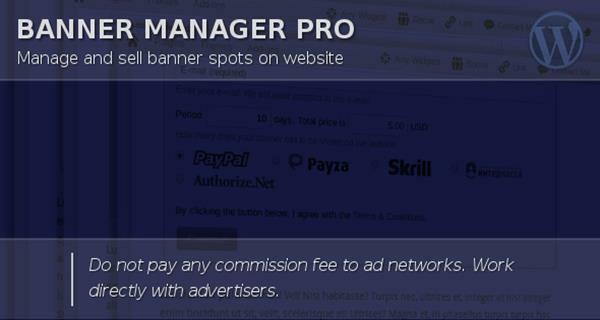 Banner Manager enables you to set as many different types of banners as you wish, sell them directly to advertisers, and accept payments through multiple payment gateways like PayPal, AlertPay/Payza, InterKassa, Authorize.Net, and Skrill/Moneybookers. You don’t have to pay any commission fee to ad networks, because now you can work directly with advertisers. It’s really easy, just install the plugin and start making more money starting today. 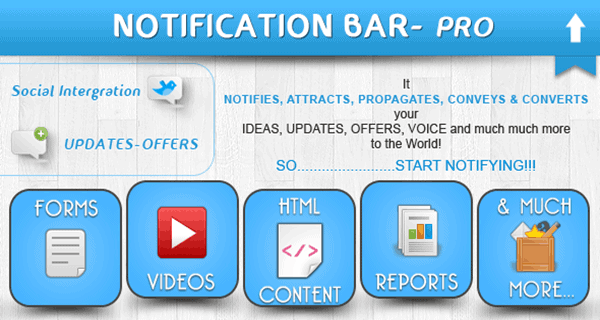 Notification Bar Plugin Allows you to add a cool notify bar to your WordPress website. This amazing WordPress Advertisement Plugin gives you an additional extended message feature which you can control by settings in the backend. 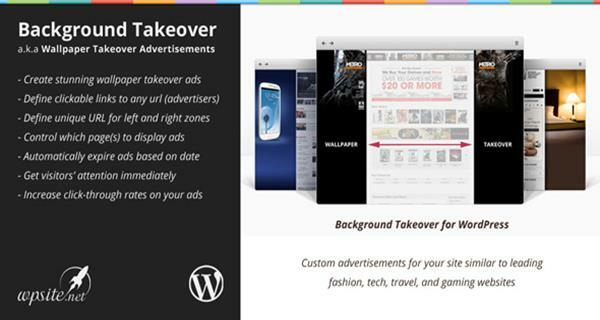 WP Background Takeover Advertisements, WP Envato and Advert Flap Pro are not available anymore. On the search for a powerful ad manager, who provides options for ad optimization, I found Advanced Ads (https://wordpress.org/plugins/advanced-ads) and I am very happy with this plugin. If you plan an update of this list, you should keep this plugin in your mind.